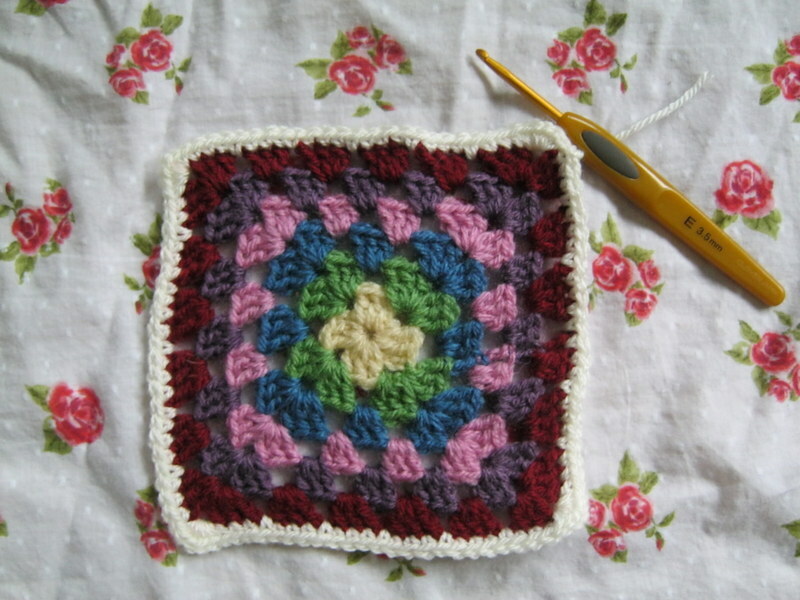 This week, I decided to keep it simple and do a normal granny square. The yarn I used was some that I treated myself to almost a year ago but have been saving for something special. I’ve finally decided to make Ali Campbell’s stripy jumper (you may have seen it in Inside crochet magazine or on Ravelry) and I wanted to experiment with a few colour ways.